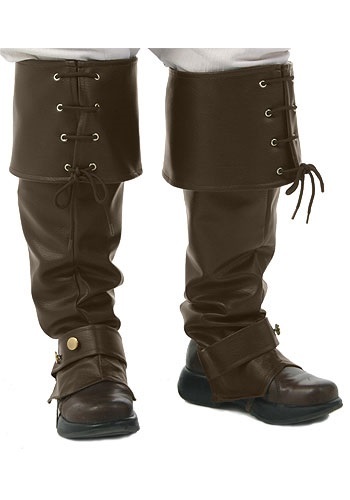 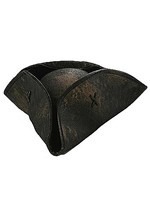 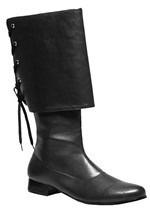 Plunder for treasure in this pirate boot covers! 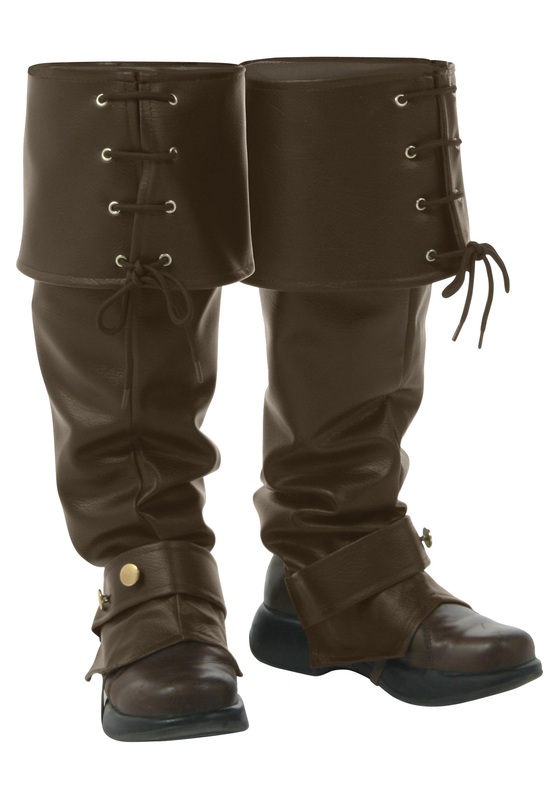 Also perfect for a Renaissance costume, these brown boot tops have the appearance of leather and gold decorative buttons on the bottom. 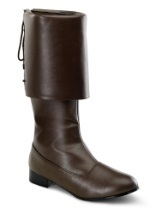 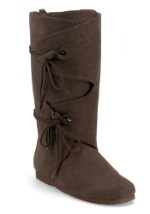 The top cuffs lace up in the front and elastic straps are attached on the bottom to secure the covers to your shoes. 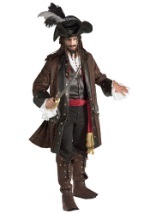 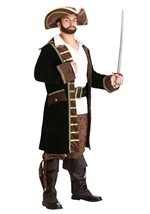 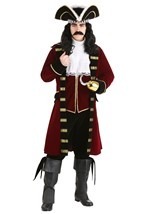 Give your pirate costume a complete look when you add any of our other coordinating accessories like a hat, sword or wig.